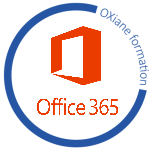 This is a 4-day instructor-led training (ILT) course that targets the needs of IT professionals who take part in evaluating, planning, deploying, and operating Office 365 services, including its identities, dependencies, requirements, and supporting technologies. Experience administering the Windows Server operating system,Windows Server 2012 or later. Experience working with certificates,public key infrastructure (PKI) certificates,Windows PowerShell.